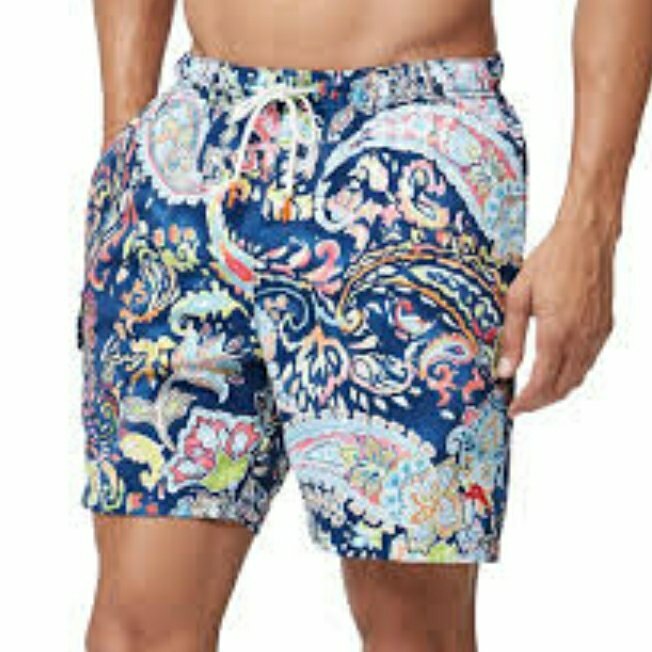 Okay, guys have some really interesting choices besides swim trunks these days and we uncovered (no pun intended) these three alternatives to swim trunks or perhaps a way to spice it all up. Those shorts and pull up you run with in the am could be your next beach staple! If not interested in getting your sport shorts, pair with a knee length swim shorts for a great casual look! You can buy matching sets of shirts and trunks! Bahama Breeze has a great variety and yes we love a man that coordinates.. 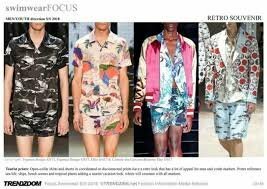 Skip out on basic neutrals and try that ever popular jungle and floral prints. 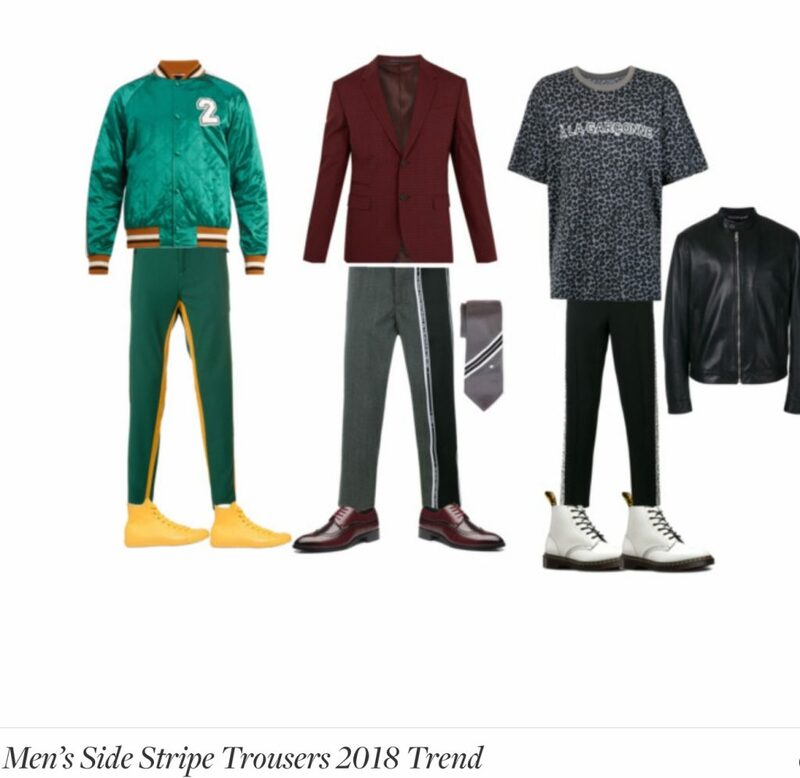 We are almost mid way through 2018 and the eighties trends are still alive and kicking; and now that Spring has arrived (Winter is still kinda butting in most places) pastel colors have been springing (hee hee couldn’t resist) up on streetwear and celebs such as Kanye West and Jared Leto. I know everyone has seen candy colored hoodies everywhere so I didn’t want to go with that staple. 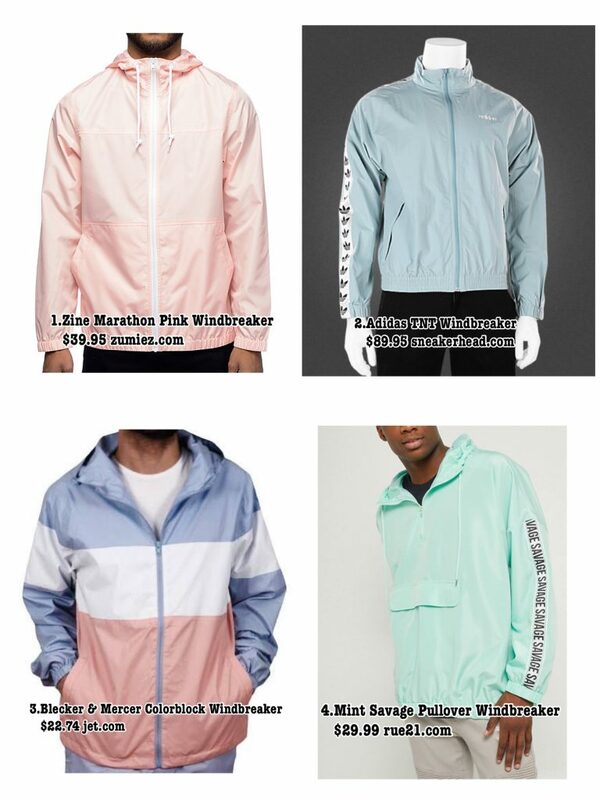 The windbreaker was huge in the eighties and now it’s made a comeback.Who can resist a lightweight jacket that’s water resistant, looks cool on most anyone and is super durable? How about adding some pastel to this? You can pair it with darker colors or go full on Easter egg; the styling is endless..Here are my picks below! When an Italian brand decided to showcase his first ever unisex collection in NYFW; I add to request an invite. 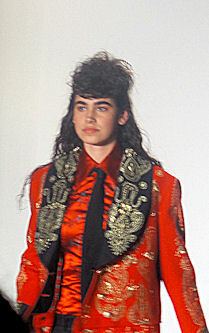 The moment we heard the designer had Moroccan inspiration we expected gold hues, bright colors and bold ideas. Our wishes were answered. 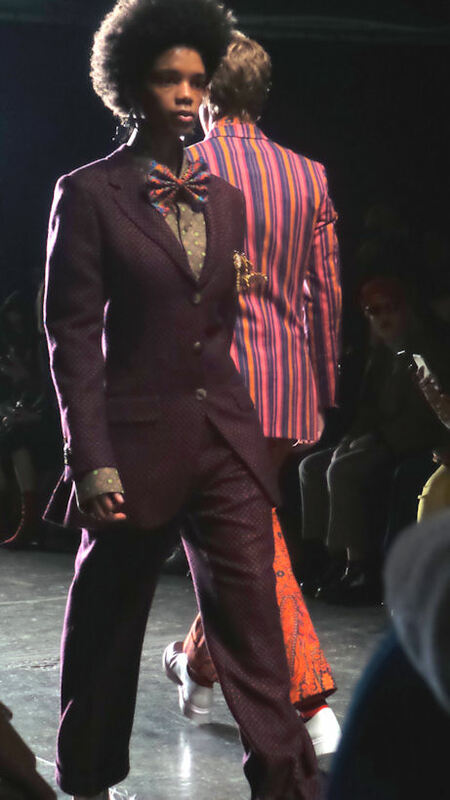 The moment the show started basic male staples like blazers and buttoned down shirts were treated with bold patterns of paisleys, stripes and gold embroidery. Ties were treated with contrasting colors and interesting patterns like a collection of pool balls. Other interesting looks were the pant skirts which we loved so much we are saving it for our Instagram page. Check out the full video roll on our YouTube page and the total looks on our Facebook page. 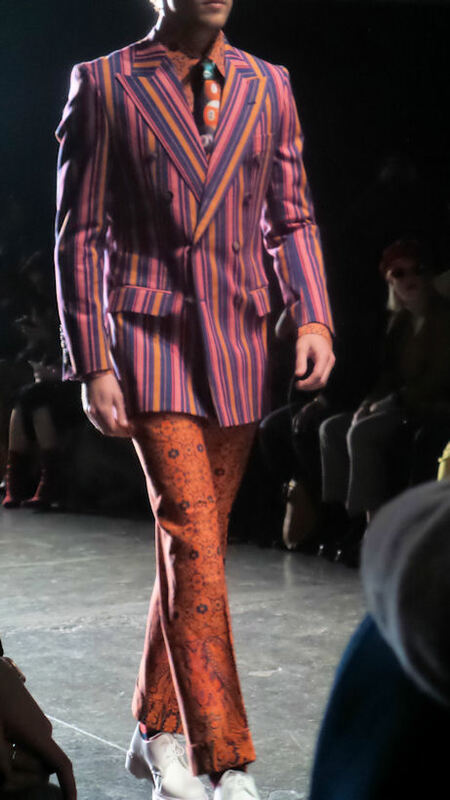 This past men’s fashion week we saw trousers with racing stripes going down the leg. I love this juxtaposition of athletics and biz casual! 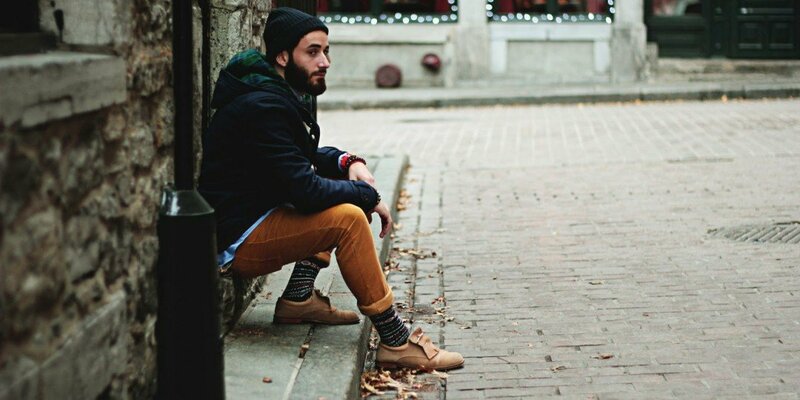 This is a great trend as you can look laid back while being put together and anything can go with these pants. I have put together some outfits featuring these pants to give you an idea of how to style them. 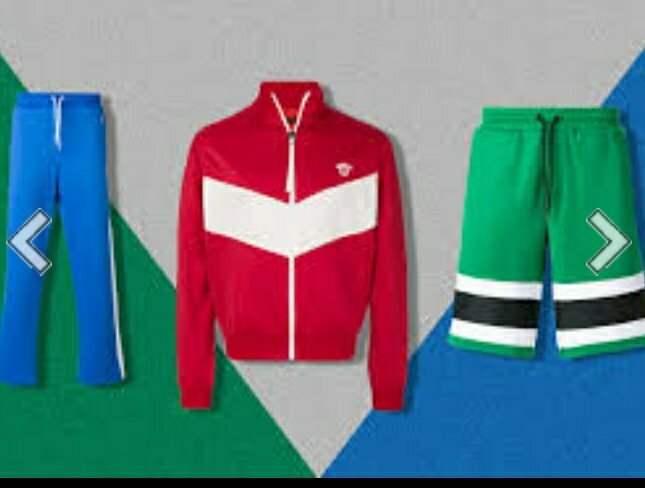 I chose bold colors and simple sneakers as they are also a big trend this year!. Let me know in the comments what you think! 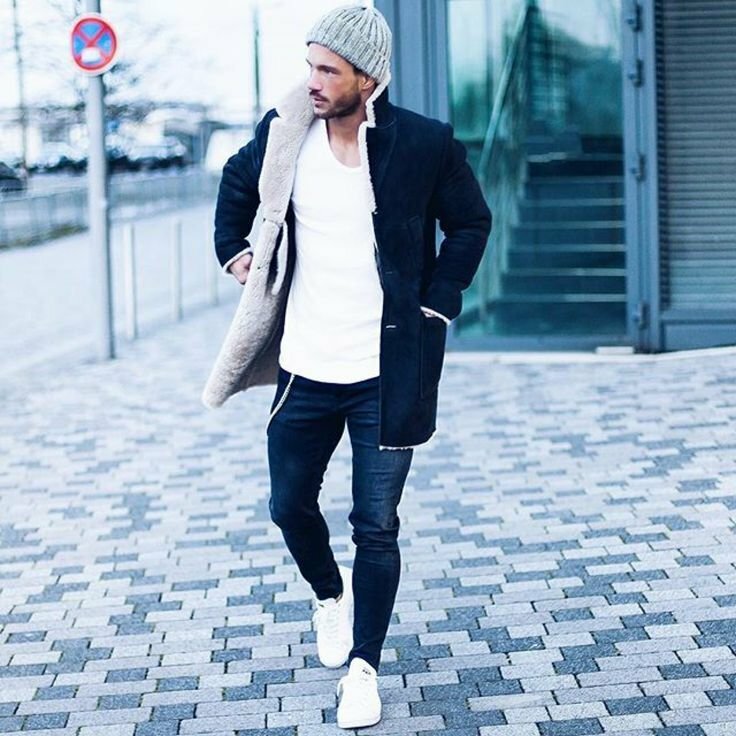 Okay, guys, we know there are certain things that make you look cool that you will just not give up just because the weather dips but here we list 5 things to ditch this winter so can stay warm. Okay, the biggest myth in winter is that leather (or its plastic look a like) will keep you warm. This is a big false. Hell, my leather rabbit fur trimmed gloves are adorable but do nothing for my fingers. These cotton based articles will not keep you warm simply because cotton actually absorbs water (reason why jeans are so hard to dry) and hence remain cold longer then wool or polyester pants. Sorry, no skinny jeans. Time to wear underwear if you are not use to wearing it. Your lower extremities will thank you. Try polyester boxers for extra warmth. We love how clean they look but they will not keep your feet warm. Switch these up for crew socks in wool or polyester blends. Once it snows, time to put the sneakers in the back of the closet! I was amazed how many people wore sneakers during the great blizzard of 2018. It is right up there with women wearing stiletto booties. Cherish your life, no points for dieing for fashion. 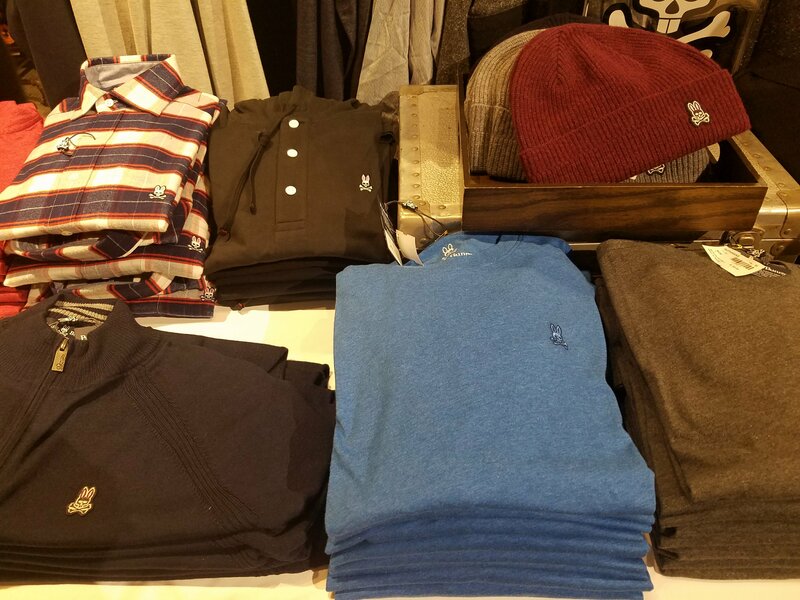 In honor of our new menswear Monday’s ( and because it’s officially freezing temps time!) 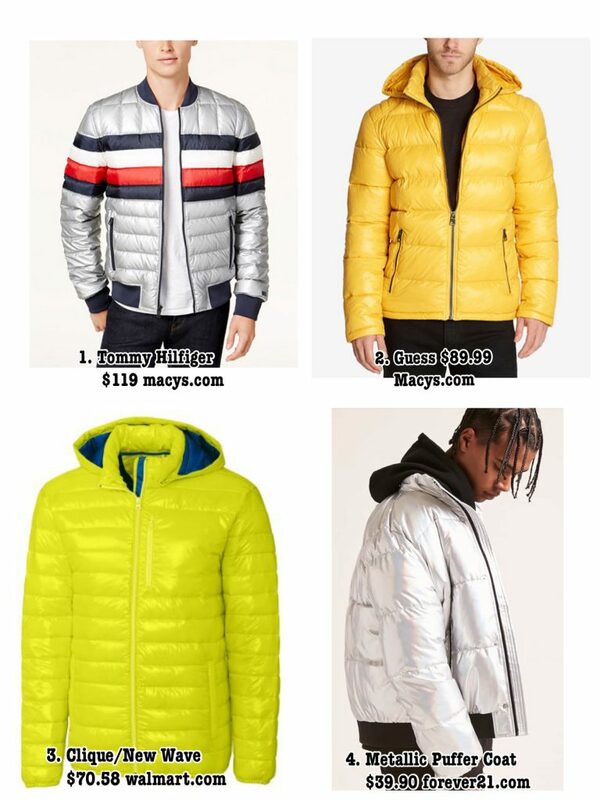 I decided to share with you lovely male readers our picks for updating the Winter staple just about everyone has; the puffer jacket. This year we are seeing bold color combos, sleeker fit and metallic finishes that really bring a cooler more futuristic spin to an old favorite. The new versions have you looking much more polished while staying warm! Below are my pics and nothing is over $120! Hope you guys love my picks! 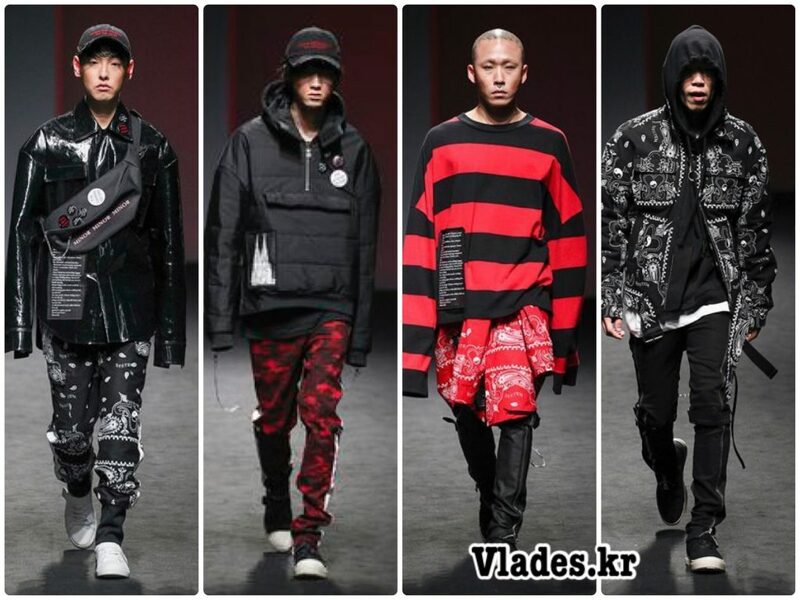 I am obsessed with menswear so when I came across A lookbook Online I had to get more info on the Korean Brand known as Vlades or Mooyul Vlad. I fell in love with their hard edge punk meets oversized street wear mash up. There wasn’t much I could find about the Brand; other then the label was started in 2012 by Korean designer Moo Yeol Choi and that many high end magazines such as Vogue have featured their line. They are also popular with Kpop bands and in the us Opening Cermony carries some of their line. They prices aren’t too bad..most sweatshirts are $80 usd. 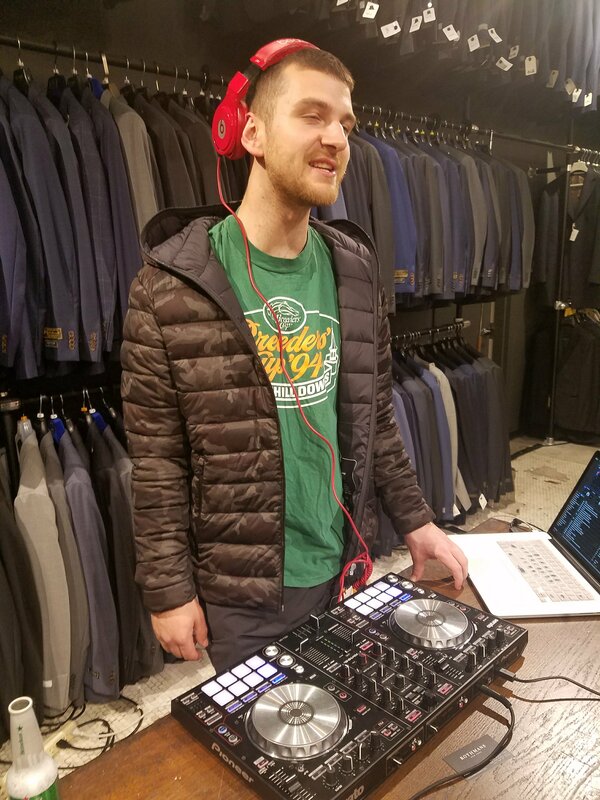 Three brands shared a singular launch party at Rothmans, recently a shop focused on tailored suits. 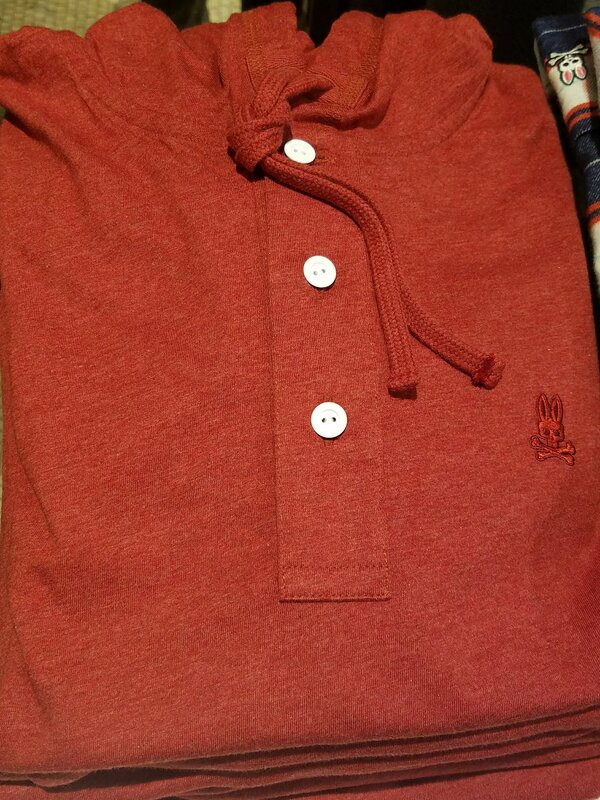 We showed up for psychobunny, a leisure brand focused on polo shirts and hoodies. 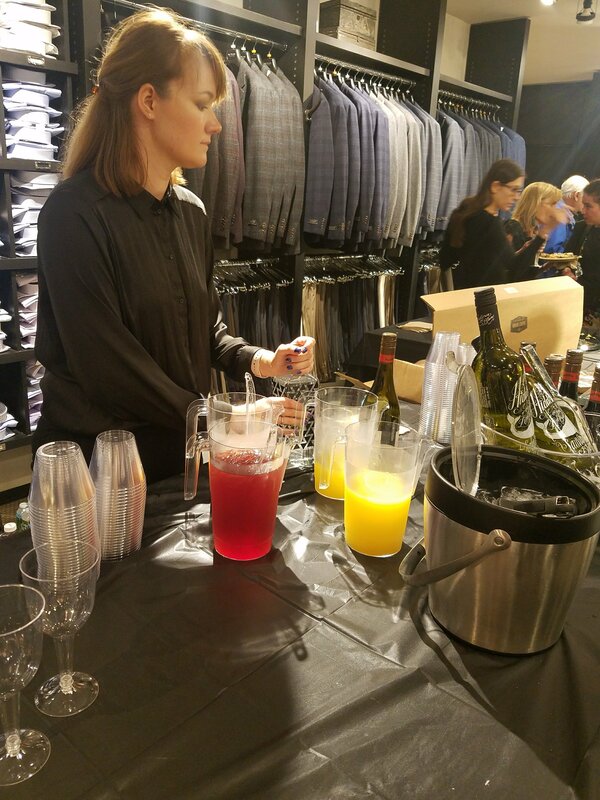 Free food and drinks flowed but the biggest suprise was just how much Rothman’s was trying to varsify its clientele. T-shirts in the back plus cool skinny jeans in bright hues and various treatments, made the store less stuffy then its Gramacy location insinuated. As for Psychobunny, prices ranged from 65 to 219 dollars and the small collection at the pop up ( just 1 table) means we still all have to hike to Nordstrom to shop the full collection. 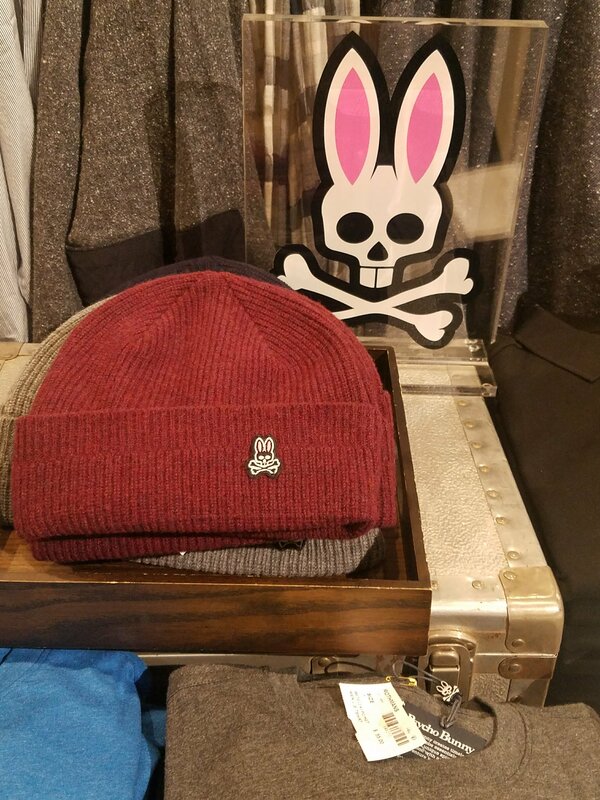 It was a nice preview for Spring 2018 with a slight deviation from typical male neutrals ( we did see a navy blue shirt however) but with such a small showing, it is just too early to tell what Psychobunny has up its sleeve. So guys, is Rothmans worth the hike from Union Square? Sure for great jeans and tees but not even your a fan of Psychobunny. 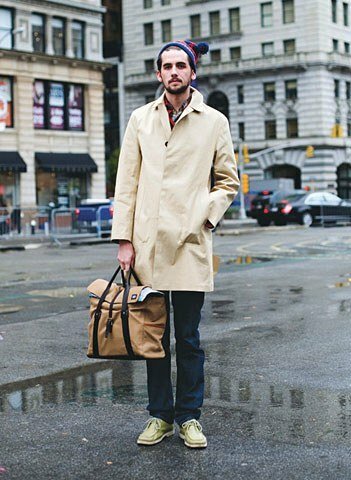 It is men Monday on our blog and the rain here is making think of ways to look your best even when the weather is the worst. 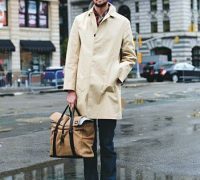 So here are three necessities to keep your swag even in wet weather. Belted or not, a trench coat that keeps water at bay is instantly chic. Plus it doubles as a got on those cool spring and fall days. We love these water shoes but high boots are no longer in style. 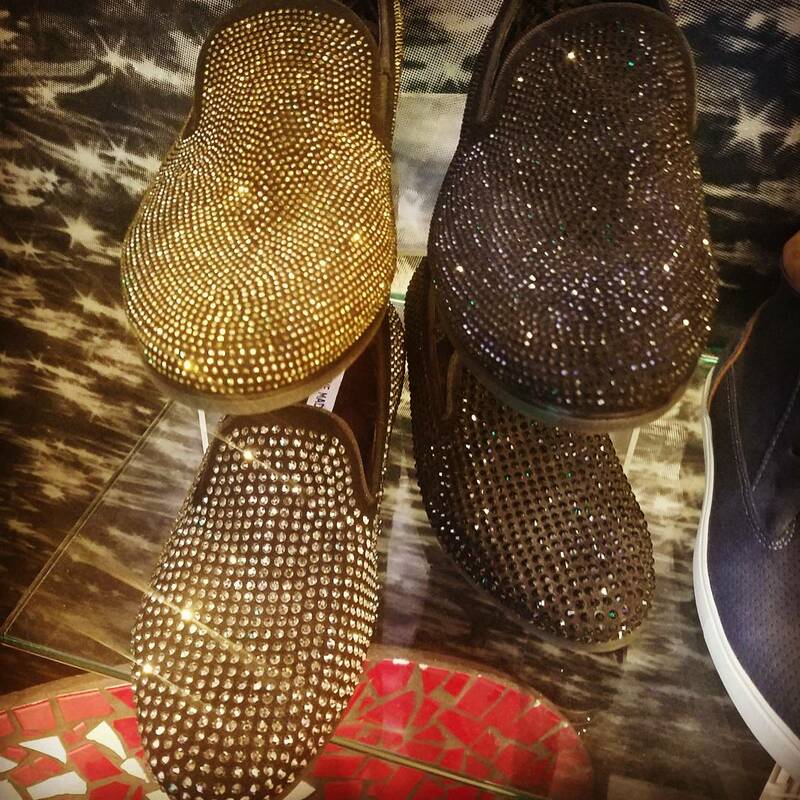 Slip on these shoe-like hybrids for a more polished look. Lastly, an umbrella with cool details always is in style. 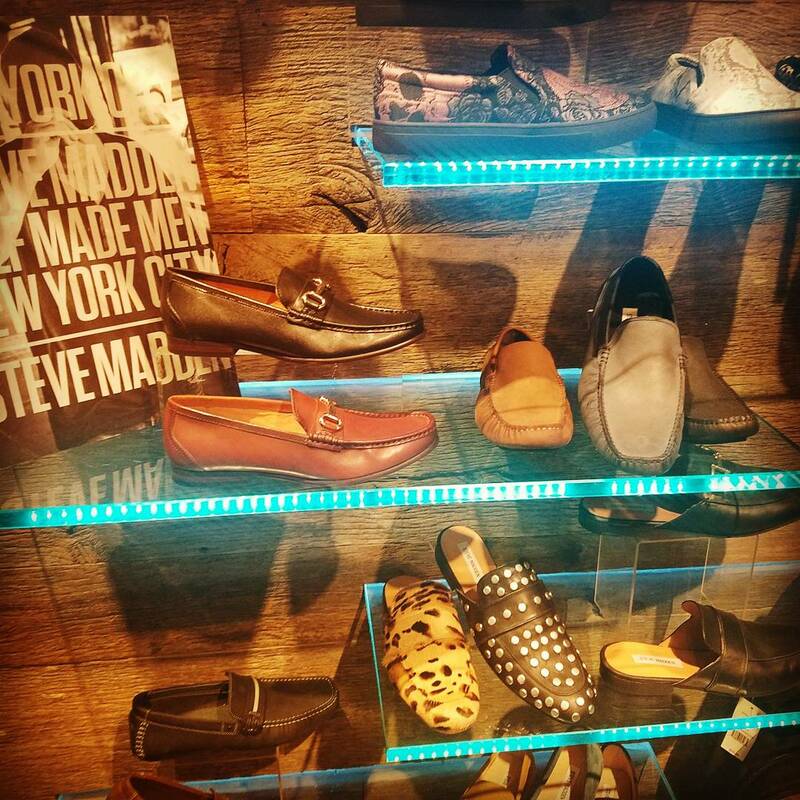 We went to see Steve Madden’s latest collection for men last night at his SOHO store on broadway and we were obsessed with some styles we saw. 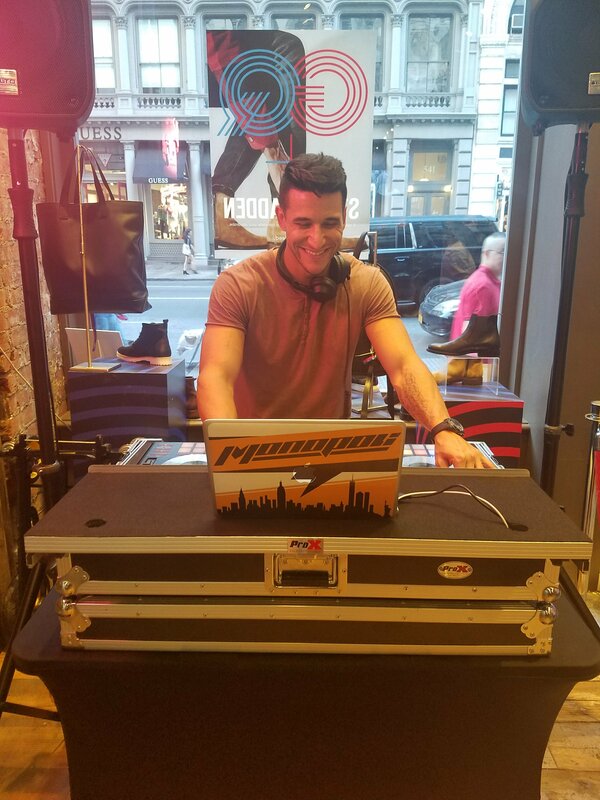 The atmosphere was both electric and sophisticated with a DJ spinning and bourbon tasting. 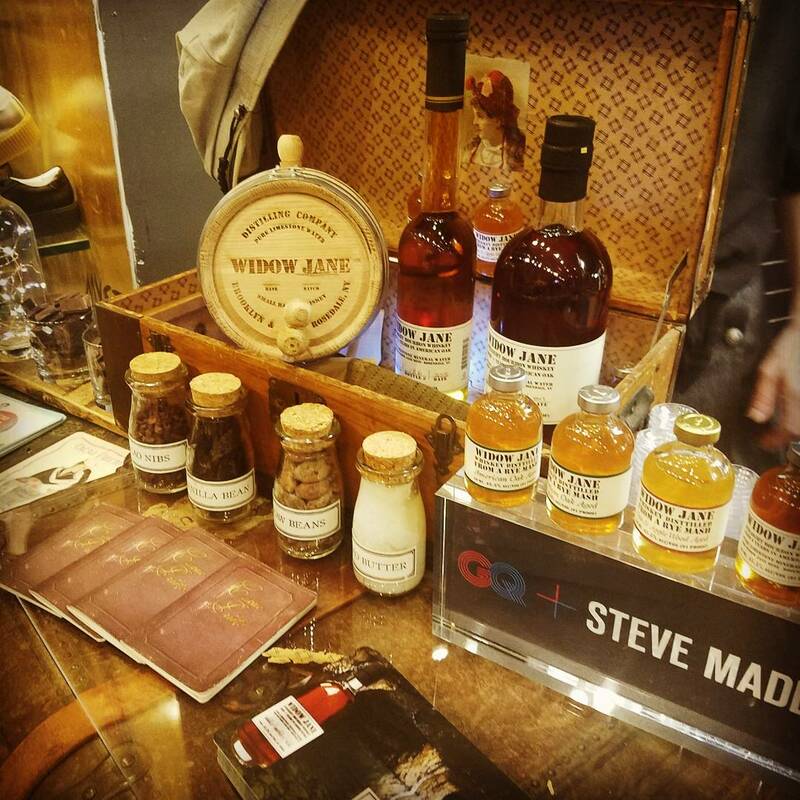 Bourbon and Whiskey tasting was provided by Widow Jane. We wished we tried the Rye gin but there wasn’t time. The collection was a mash-up of unisex and more traditional styles with a mix of staple slip ons, high tops and shoes in basic neutrals like camel, gray, brown and charcoal. 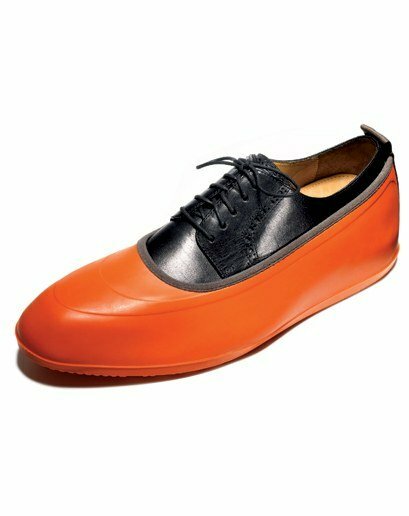 There was a treatment to leather shoes that gave them a worn look. The biggest surprise were the more eclectic designs including a high top with skull prints, a totally crystallized slip-on and comic strip prints which all gave a cool street vibe. 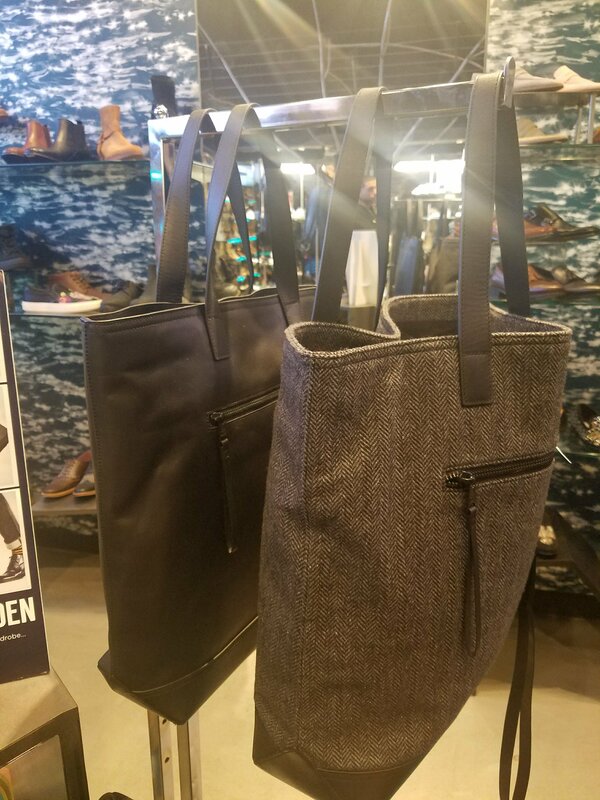 The bags were manufactured felt and canvas which has been big for men but has little design. The shoes were the hit of the show. Stalk our instagram for more pictures of the event @tfgnyc.